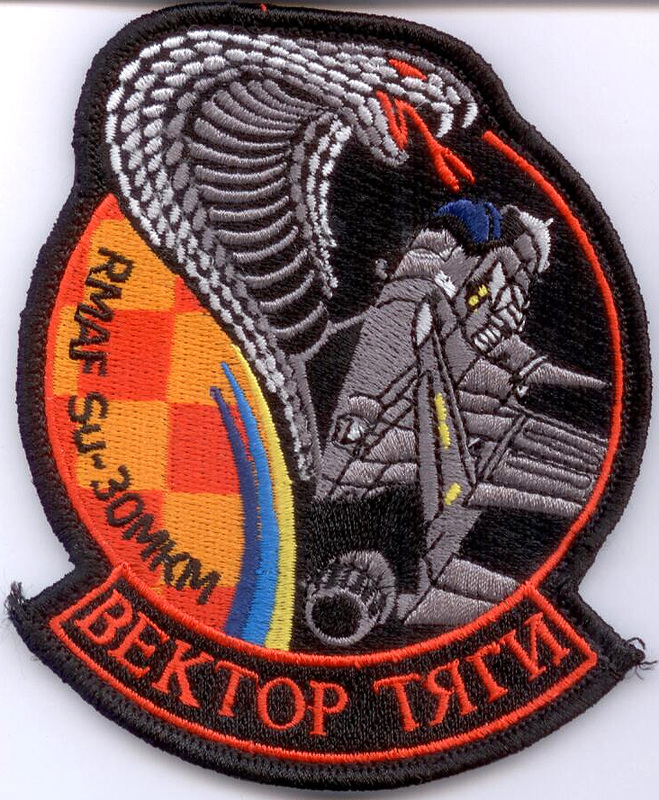 Royal Malaysian Air Force (RMAF) been in the past procure both Western and Eastern bloc combat aircraft. 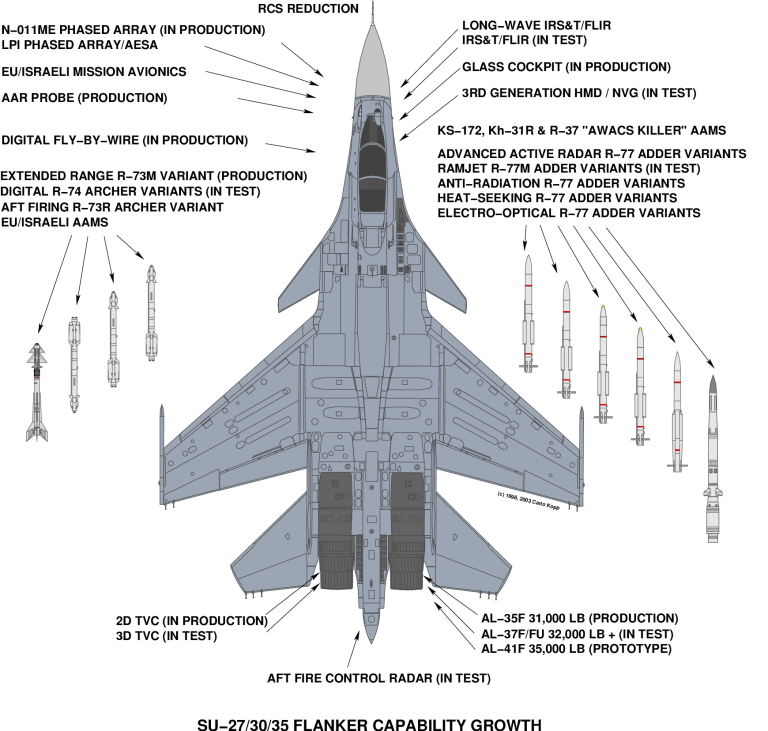 Currently, they equipped themselesves with MIG-29, F/A-18D, Hawk, MB-339C, and the Sukhoi SU-30MKM. 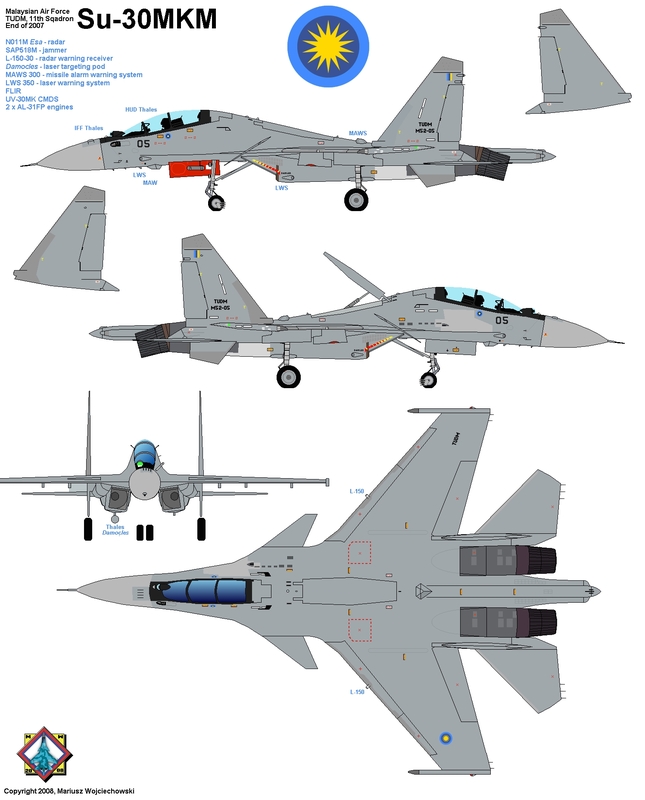 The SU-30MKM has the same airframe, same engines with thrust vector control (TVC), and an advanced digital fly-by-wire system as the Indian SU-30MKI. The MKM version differs from the MKI mainly in the composition of the on board avionics. Thales supplies the Head-up display (HUD), navigational forward-looking IR system NAVFLIR and the Damocles targeting pod. The aircraft carries missile approach warning sensor (MAWS) and laser warning sensor (LWS) manufactured by Avitronics (South Africa). It can carry up to 8,000 kg/ 17,650 lb of weapons and payloads over 700 nmi unrefueled combat radius. Hardpoints: 12 (2 × wing-tip AAM launch rails, 6 × pylons under-wing, 2 × pylon under-engine nacelle, and 2 × pylons in tandem in the “arch” between the engines. It can be increased to 14 using multiple ejector racks. with a capacity of 8 tonnes of external stores.